1. WallE and I love video games. 2. WallE and I cannot wait until Wreck-It Ralph hits theaters. So it only makes sense that we would be following the news on the Wreck-It Ralph tie-in video game. Now while we all know that movie tie-in games run a high risk of not living up to expectations for the film, or for games in general, there is a shed of hope for Wreck-It Ralph. 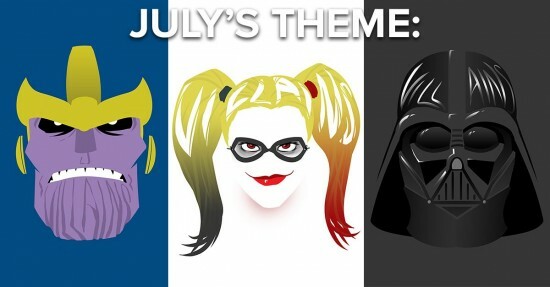 After all, it is a game… based off a movie… that is based off of gaming. What could possibly go wrong? Well, don’t answer that as we have seen many a project that should have been a layup go wrong. In the new teaser trailer, we take a quick look at Wreck-It Ralph but don’t get the opportunity to see his gameplay so that is what leads us to speculate. What is Wreck-It Ralph going to be like? Players have already been given the opportunity to play browser based versions of Hero’s Duty and Sugar Rush on the Wreck-It Ralph movie site as well as a Fix-It Felix iOS game. This is a big week for the video game industry. Everyone has their eyes on Los Angeles as the next few years in Video Gamedom are laid out in very elaborate fashion. So with all of the buzz surrounding the industry, Disney decided now would be the perfect time to unveil Wreck-It Ralph officially. 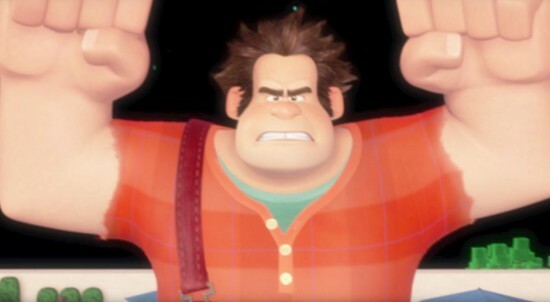 Wreck-It Ralph longs to be as beloved as his game’s perfect Good Guy, Fix-It Felix. Problem is, nobody loves a Bad Guy. But they do love heroes… so when a modern, first-person shooter game arrives featuring tough-as-nails Sergeant Calhoun, Ralph sees it as his ticket to heroism and happiness. He sneaks into the game with a simple plan — win a medal — but soon wrecks everything, and accidentally unleashes a deadly enemy that threatens every game in the arcade. The movie has the chance to be this generation’s Who Framed Rodger Rabbit, only instead of rival cartoons co-existing in their own world it is established video game characters. Just the support group in this trailer alone evokes the same sort of feeling of watching Daffy and Donald Duck play dueling pianos. Wreck-It Ralph hits cinemas this winter and check out the trailer and the full official image after the jump.